Words are important to the Creator. All of creation came about by His spoken word ( Genesis 1 , Psalm 33:6 ). Four thousand years later, the Word became flesh and dwelt among us ( John 1 ). Since words are important to our Creator, they should be important to us as well. Indeed, the Bible is full of admonitions to speak the truth and choose our words carefully. 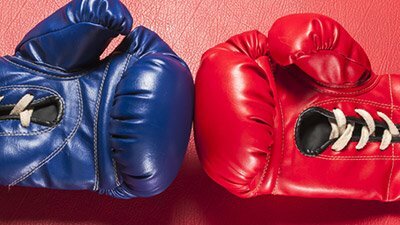 In the creation/evolution controversy and battle over biblical authority, much of the dispute may become clearer if writers would carefully provide readers with precise definitions of terminology. In fact, careful, clear definitions might help to resolve the issue for some people. Careful, clear definitions might help to resolve the issue for some people. 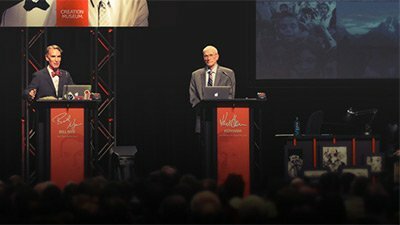 As such, the science and research practices of both creationists and evolutionists involve the very same techniques, equipment, etc. In fact, the very same objects—such as rocks—and all measurable entities are the same for each investigator. 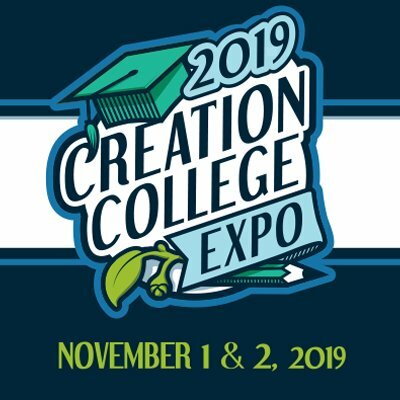 As a consequence, I avoid the expression “creation science.” I prefer the use of a hyphen—i.e., “creation-science”; the hyphen conveys that two areas of human knowledge have been joined. In addition, though most people, including scientists, consider the biblical teaching of origins to be religious and consider evolutionary ideas scientific, we should challenge such a view. In the secular media, for instance, the debate is often described as “creationism vs. evolution,” as if the “ism” should not apply to “evolution.” This is not accurate, because believing in evolution, like believing in creation, requires acceptance of a certain presuppositional dogma and requires placing one’s faith in a story about the unrepeatable past. 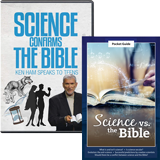 See Science or the Bible? Also, the term “religion” must be defined clearly. While beliefs and worship practices, procedures, and conduct are involved in religion, any belief system that purports to be a total explanation of reality is more-or-less religion. Thus, insofar as it is an attempt to explain why the world is the way it is, held to with ardor and faith, Darwinian evolution can thus be considered religion. 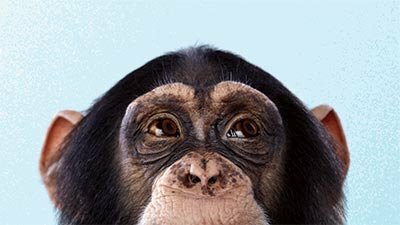 Many writers and lecturers who accept the evolutionary point of view sloppily use the term “evolution” to describe any change or development without any qualifying adjective. Such qualification, though, must be included to indicate the degree of change involved. Authors should be more precise when they—using a qualification—inform the reader of any assumed vertical change (when one kind of living thing is changed into another kind, as Darwinian evolutionists believe has happened regularly throughout life’s history, yet has not been shown). This would be distinguished clearly from horizontal change. The degree of change (i.e., the qualification) involves variability within a kind of organism (such as that caused through artificial breeding and that has come about as a result of processes such as natural selection and mutation). Hence, this horizontal change would be no more than variation within the kind or form of an organism, which biblical creationists accept (God created animals “after their kind” according to Genesis 1 ). The best qualification—one that gives a more precise definition of “evolution” in the Darwinian “vertical” sense—is molecules to man, i.e., molecules-to-man evolution or some such expression (such as fish-to-philosopher, goo-to-you, etc.). Furthermore, in the creation/evolution debate, there should be a clear contrast between the terms “hypothesis” and “theory.” The former term should be reserved for any proposed explanation that can be investigated with testable and observable scientific practice. In contrast, the term “theory” should only be used to describe a well tested, widely supported, longstanding hypothesis. Lack of precision occurs when evolutionists apply “theory” to an unsubstantiated hypothesis. Too often “measurement” is used when the term “estimate” would be more accurate. Certainly scientists can attempt to estimate the age of the universe, the age of the earth, or the age of a rock, but they cannot directly measure the age. In each of these instances, careful scientists are limited to stating that these are estimates only because such ages rely on various by-faith assumptions about the unobservable, unrepeatable past. Therefore, “dates” of rocks are only estimates. The age of a rock layer is only an estimate, since in most cases, no scientist was present to observe directly or indirectly when rock layers, or any rock, formed. Their estimates are susceptible to any a priori view that a person holds. Indeed, no scientist alive today was present when life appeared on this planet. In fact, there has never been a truly scientific study of the origin of life on earth—nor can there ever be any operational scientific study of the first life on the earth given present technology. We do, however, have the written account of the Creator Himself, who does not and cannot lie. Genesis 1–2 provides an accurate eyewitness account of the beginning of all things, according to God. When we are careful about word choice (and when we point out when others are not careful and are therefore obfuscating definitions, perhaps intentionally to bolster a weak point), I believe that the creation/evolution controversy could be better understood and be revelatory to many more people. These definitions may help clear up confusion, and prompt people to reconsider the limits of scientific inquiry—and then reexamine the issue of the origin of life and what the biblical authors have taught about the question of origins.